Oil on canvas. 32 X 45 cm. Inv. 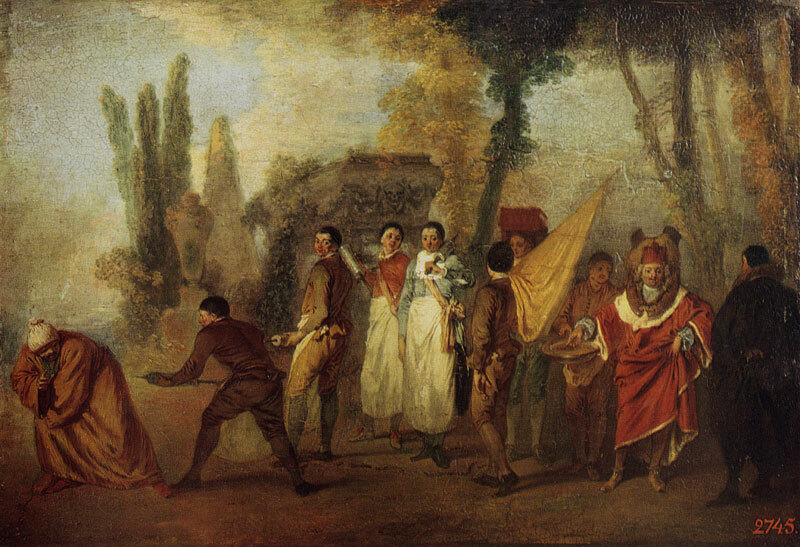 No 1226 According to P. J. Mariette, the picture was painted by Watteau at the request of his friend P. Sirois, an antiquary and artist, from whom it passed into the collection of the dealer E. F. Gersaint, also a friend of Watteau. It belongs to the Delassements de la Guerre series painted from sketches made by the artist during his trip to Valenciennes in 1709—10. The picture was engraved with a burin by Ch. Cochin. Bibliography: Кат. ГМИИ 1948, p. 16, ill.; Кат. ГМИИ 1957, p. 23, ill.; Кат. 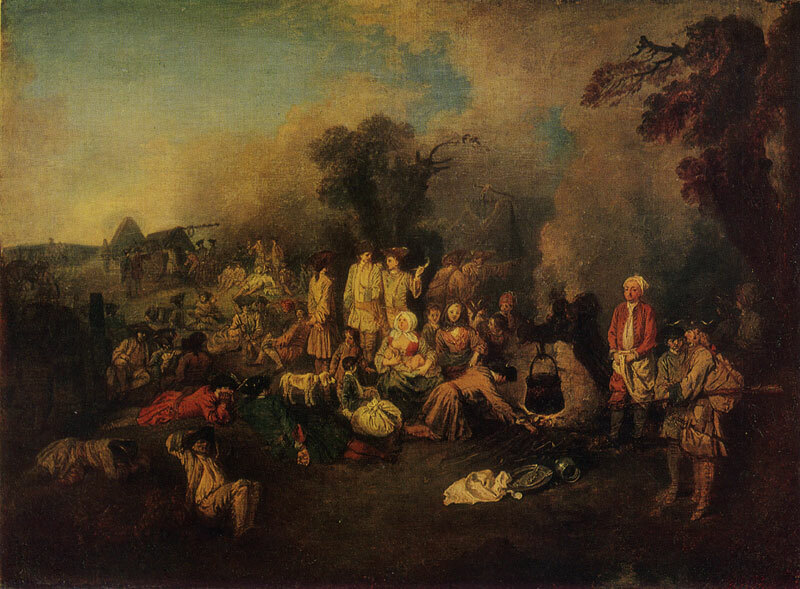 ГМИИ 1961, p. 33, ill.; Mercare de France, 1727, December, p. 2677; L'CEuvre d'Antoine Watteau, Peintre du Roy... grave d'apres ses tableaux et dessins originaux. . . par les soins de M. de Julienne, vol. 2, Paris, s.a. [1730-40], p. 58, ill. (after the engraving by Cochin); Abecedario de P.]. Mariette et autres notes inedites de cet amateur sur les arts et les artistes, in: Archives de Г Art Francois, vol.